I got this nice little set from a friend as part of a larger overall deal. Sgt Sugarman was a B-26 gunner with the 344th Bomb Group 494th Bomb Squadron. 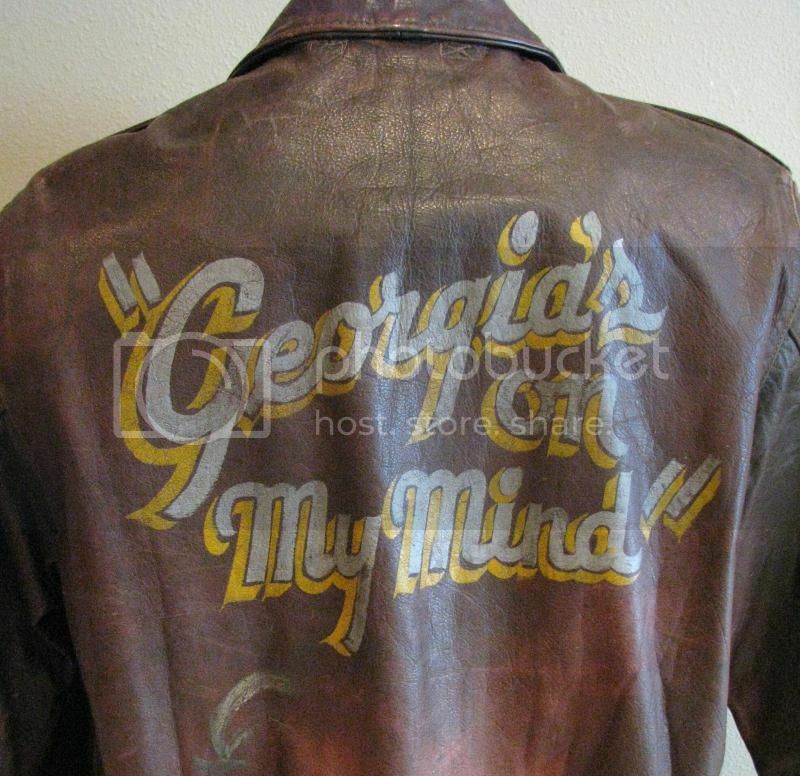 His B-26 was named "Georgia's On My Mind". He flew 65 missions with the 344th from April '44 thru Sept '44. He flew 2 D-Day sorties in support of the landings. On his 65th and final mission they lost an engine and were forced down around the front lines. Luckily they were picked up by allied troops and returned to their base. Edited by JDK, 09 May 2014 - 08:36 PM. Edited by JDK, 09 May 2014 - 08:47 AM. Edited by JDK, 09 May 2014 - 08:53 AM. Edited by JDK, 09 May 2014 - 08:58 AM. Edited by JDK, 09 May 2014 - 09:01 AM. Edited by JDK, 09 May 2014 - 09:03 AM. why isnt there an green with envy smiley ?????? Edited by JDK, 09 May 2014 - 09:05 AM. Edited by JDK, 09 May 2014 - 09:06 AM. Edited by JDK, 09 May 2014 - 09:09 AM. Edited by JDK, 09 May 2014 - 09:10 AM. Thanks guys for compliments and for checking out the group! Another stunning group JD, that A2 jacket is just too cool with the artwork on it! Thanks for posting. Doesn't get any better that that! Whatta group! JD, just when I think that you've posted a group that would be hard to beat (i.e. Air Apache group(s) ) you are able to top yourself with a D-Day A2 with documentation! Outstanding! Outstanding group hard and they do not get much nicer than this! Thanks for sharing. Many thanks for the compliments guys. When it comes to bomber crew groups, Lately, I find my interest leaning towards the light groups (B-25,B-26, A-20 ect) vs the heavies. That doesn't mean I would be afraid to pick up a nice B-17 group though if I found one! That is one AMAZING grouping.I agree with little buddy, where is the green envy face.Great picture of him wearing the jacket. Really a great jacket! Can't believe the guy did 65 missions holy cow!